A couple years ago I got introduced to planners. Before this, I was more of a small notebook and slip of paper type of girl. I loved to write down my daily schedules but it never dawned on me that having a seperate book for planning and organizing my daily activetes was acutally a thing. 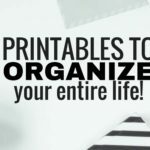 However, I’m now hooked on planners and organizers and so I’ve decided to share 10 must have planners with you. So, if you’re like me and you’re wanting to get an amazing planner for 2018 to keep your self super oranised and ready for just about anything throughout the year, then this list you’ll love! These are all must haves for planner enthusiatsts. This planner has an amazing layout with lots of writing space. It has a great monthly calendar, daily views broken down by the hour, which makes it perfect for scheduling appointments and staying on top of things. 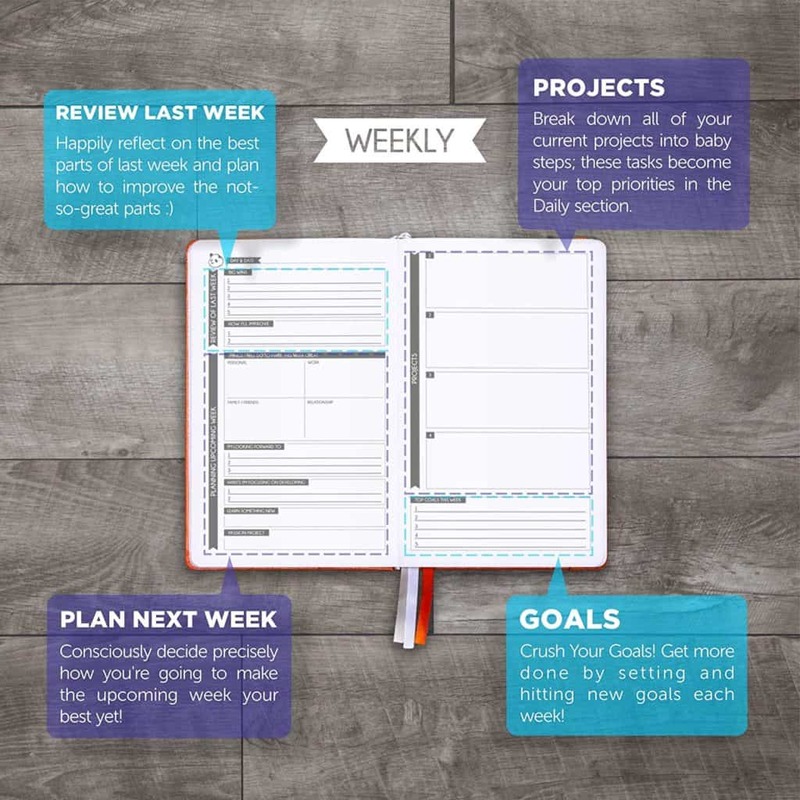 This is the perfect planner for managing your day and being super productive. P.S It comes in both hardcover and flexible cover and you can get either an 8” x 10” or a 5” x 8”. 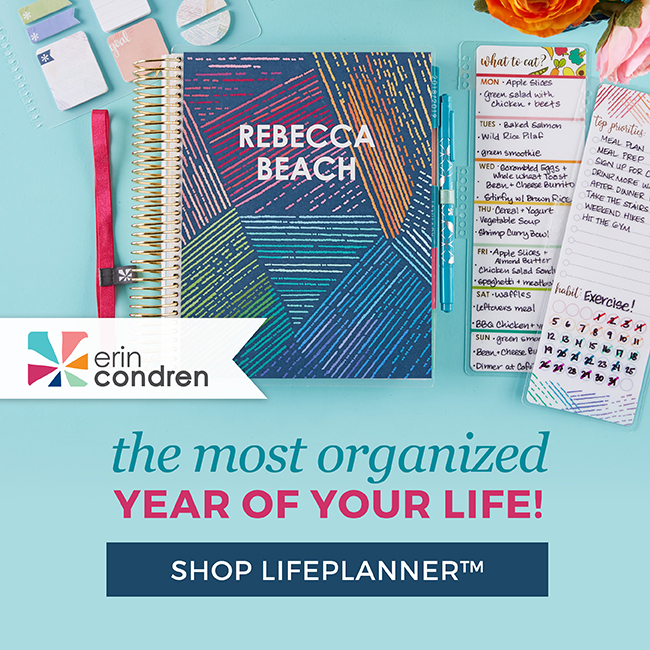 This planner has so many cold features and is sold at a great price so you get value for your money! Planner runs from July 2018 -December 2019. Plus it is bound with lasting twin wire binding and the paper quality is amazing! You can find the day designer here. As planners goes, the life planner is a little pricey. However, it is hands down one of the most beautiful, functional and fun planners you’ll ever own. The new 2018-2019 life planner is no different. Plus the covers are interchangeable so you can order which ever cover you like and switch things up at any time throughout the year. This planner (colourful hourly layout) comes with a plan it pouch, thick, great quality paper, year at a glance, monthly layout, weekly about with days broken down by the hour and so many other beautiful planning accessories. This is truly a great planner to get if you’re interested in organisation and in beautiful things! You can get the Life Planner here. You can also get the life planner accessories here. You will really love this planner. 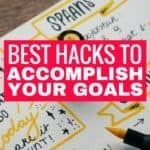 It is very goal oriented and will help you plan out and organise almost every part of your life. It has a few pages to help you identify your goals, and create a vision board. It also has monthly layout, seeking layout and space for taking down important notes. This planner comes with 3 dividers, 3 sheets of stickers and an elastic band to hold you pen. For those of you family with bulet journal, this planner is set up like on, but with more structure. This is the perfect planner for you if you like more simplicity in your planning and you like making lists and goal oriented. Lastly, it is not a dated planner, soy can start at any time and still enjoy your planner for 12 months. It is a 5” x 8” planner. You can find this planner here. This 21”x 16” monthly calendar is perfect for keeping track of everything. Plus, because it’s so big and out in the open, you’ll always be able to see what needs to done and when. It has two whole which makes it easy to hang on the wall (in front of your desk maybe). This calendar runs from August 2018 to July 2019 and has ample space for to do lists notes, inspirational quotes and more. You can find this desk/wall calendar here. Everything you need in a weeding planner, you’ll find in here. This 9” x 11” vibrant, durable 18 month (undated ) planner is perfect for brides to be. it includes tabbed sections including Inspirational style boards, wedding budget planning, wedding timeline & checklists, monthly planning calendar pages, wedding party & guest lists, Vendor research, Registry & gifts and so much more. This is the only planner you’ll need if you’re planning a wedding! You can find this wedding planner here. If you like to plan free form, then a bullet journal should be your first choice for planners. You can use a bullet journal to accumulate lots of planning schedules. It can be used for creating calendars, as a dairy, a to do list, brainstorming, scrapbooking and so much more. It basically allows you to plan out your life in the most natural of ways – the way your own brain processed things.. So, if you’ve used pre-printed planners and found them restrictive and not actually useful as productivity and organisational tools, then you’ll want to try out a bullet journal. This one in particular is an amazing choice for starting out. You can find this bullet journal here. If you’re feeling overwhelmed in any aspect of your life, this planner is probably the best option for you. 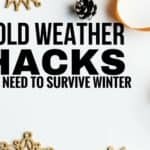 You do not have to be very organised to get it, in fact, its aim is to help you get more done, feel better and be more productive and happy while helping you to manage the stresses and exhaustion of modern day living. It is a scientifically designed daly planner that will empower you to take back control of your life and your happiness. Anyone can benefit greatly from this planner. Which of these planners will you be trying out in order to get more organised and productive? Let us know int he comments below.